Stellar Toolkit for Exchange helps Exchange Administrators to repair corrupt EDB files, extracts inaccessible mailboxes from EDB and/or BKF (Exchange backup file), OST – PST conversion, and to Reset Windows Server Password Recovery. 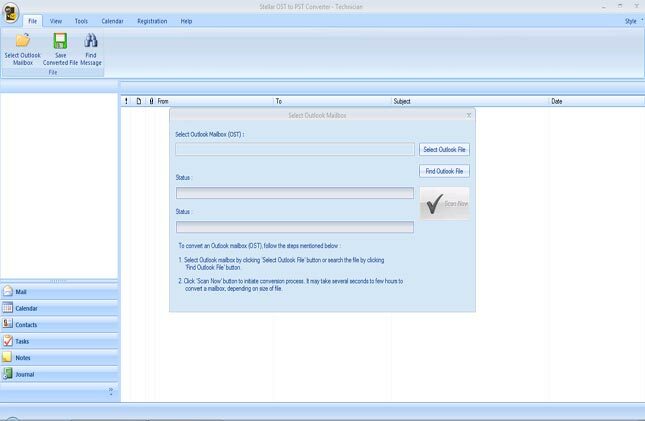 This tool helps administrators recovering mailbox content from corrupted EDB files such as emails, attachments, contacts, calendars, tasks, etc. We can export data into a variety of formats, to a live Exchange Server or even Exchange Online.Exchange administrators hope to never have to use, but when they have to, they are glad to have it at their disposal. All the tools included do what they claim to do and in an easy way. With a couple of tweaks and extra features such as attachment preview and the ability to specify a new folder when importing data into a mailbox, it would be a perfect tool. As it stands, it is great! 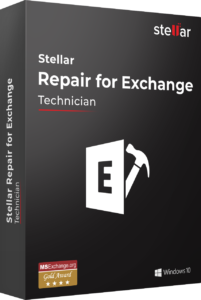 Stellar Repair for Exchange has come to the rescue each and every time. Provided free demo of how the recovery works in case anyone wants to showcase this to management. You will receive a registration key to register the product upon purchase.In our case, we chose the first one to export the mail to PST.The installation process is very simple. That is how efficient and quick this product is. Scanning of larger .EDB files will take longer but in the 500+ cases we have done, all mail was recovered that we were looking for. The software helps Exchange Administrators to bounce back from data troubles by repairing severely corrupt/damaged EDB files and restoring all inaccessible mailboxes. It extracts each and every mailbox item including emails, attachments, contacts, calendar entries, Journals etc. from corrupt EDB and restores them into a new importable PST file. Furthermore, this EDB repair software facilitates migration of recovered files to a Live Exchange Server. Great User Experience" of Stellar Repair for Exchange by FinancesOnline.Com. A comprehensive application that enables you to recover EDB files from corrupt or damaged servers, in a quick and effortless manner.Moreover, the software can help you identify the EDB files on your computer or network, in case you do not know location. The software can load EDB files that contain the information originally stored in the Exchange Mailbox. The application can recover corrupted data from the EDB files. Stellar Toolkit for Exchange allows Exchange administrators to take care of 5 server issues with one shot. 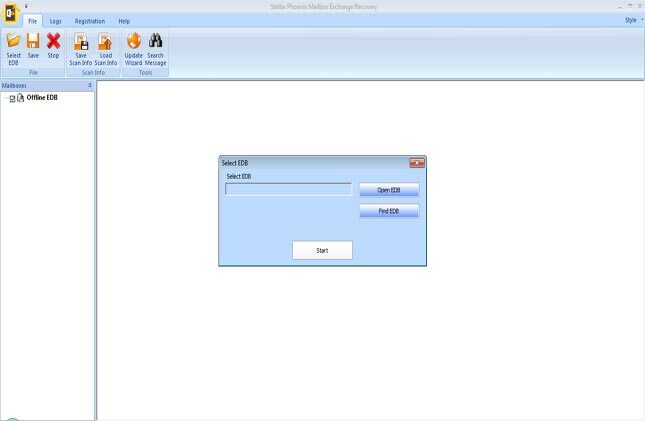 Roping in this all-in-one solution makes sure an Exchange admin doesn’t need to worry about repairing damaged EDB files, mailbox extraction from EDB or BKF files, OST to PST conversion or Exchange password recovery. Cost-wise too, this deal is more pocket-friendly that purchasing each software individually. More often than not, EDB corruption lies at the core of Exchange Server errors. 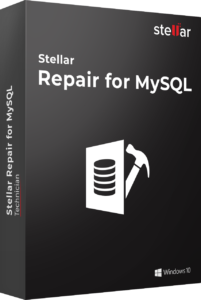 Stellar Repair for Exchange included in this software bundle repairs severely corrupted EDB files and restores them to usable PST files. Such newly created PSTs can then be directly imported into MS Outlook to access mailbox contents that were previously inaccessible. Exchange administrators or users may accidentally / intentionally delete old unused mailboxes. Thereafter, if the need arises to access some elements in those mailboxes, it can’t be done. However, with Stellar Toolkit for Exchange, deleted mailboxes can be retrieved and their contents accessed. 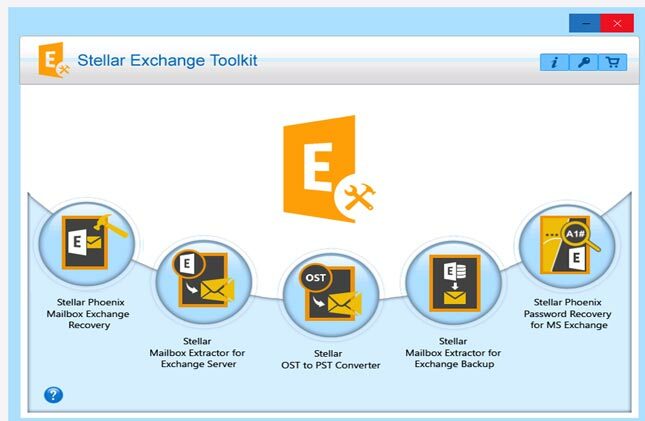 Exchange Recovery software and EDB to PST converter included in the toolkit support this feature. Stellar Toolkit for Exchange allows users to search for specific emails and save them to a desired location. After EDB is scanned, emails can be searched based on criteria such as 'To', 'From', 'Cc', 'Subject', 'Body', 'Attachment Name', 'Importance', 'Item Type' etc. Moreover, advanced filtering like 'Any Criteria', 'Exact Match', and 'Both' can also be applied to refine the search. OST stores all changes you make to your Exchange mailbox in offline state. When the connection with the server is established, the changes are merged with the online mailbox. If before merging the OST corrupts, you would lose all your modified data. In such an event, Stellar OST to PST converter included in Exchange Toolkit helps you convert OST to PST format that can be imported into Outlook to access all data. 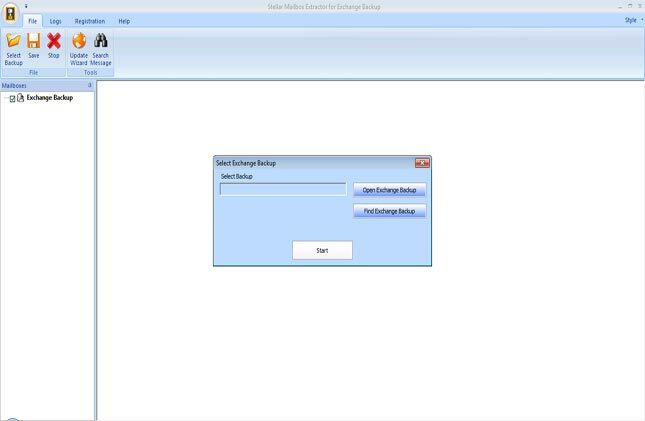 Exchange backup files contain data such as EDB, STM and LOG files. If an Exchange BKF file corrupts, loads of crucial data could be lost. 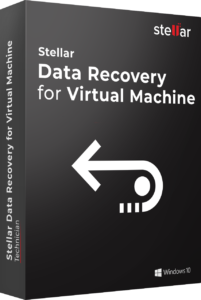 Stellar Exchange BKF Recovery included in Exchange Toolkit enables you to repair corrupt BKF files of any size (backup files are generally large) and save the recovered data at a desired location. 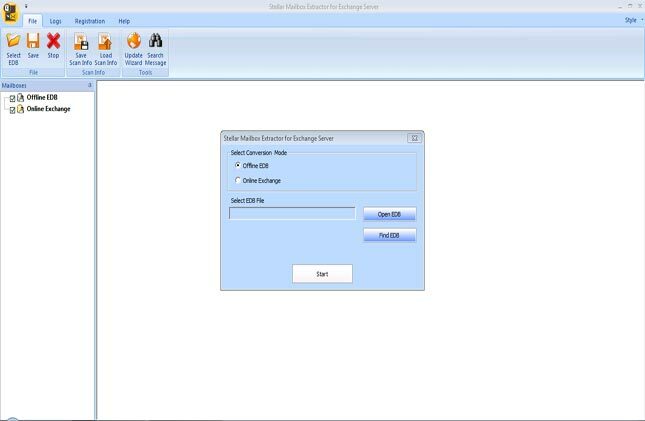 The biggest advantage of Exchange Toolkit is that it allows you to save recovered data in a variety of formats such as PST, EML, MSG, RTF, HTML, and PDF. 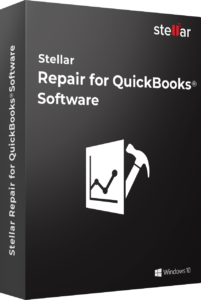 This feature is supported by Stellar Repair for Exchange and Stellar OST to PST converter included in the toolkit. 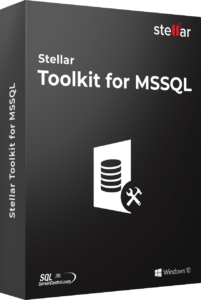 With Stellar Toolkit for Exchange, you won’t need to manually export recovered data to Live Exchange / Office 365. You can choose to connect a single or multiple mailboxes to the server depending on your requirements. Eliminating the need for manual configuration, Exchange Mailbox Recovery and Mailbox Extractor software help you export data to Live Exchange / Office 365. 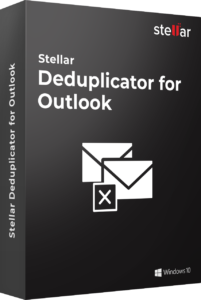 In order to export mailboxes to Live Exchange Server, use Stellar ServerConsole.exe to assign full mailbox Rights to disconnected mailboxes. If you’ve lost or forgotten your Exchange mailbox password, Stellar Password Recovery for MS Exchange lets you reset Windows Server password. It is also capable of resetting password of servers acting as Domain Controllers. 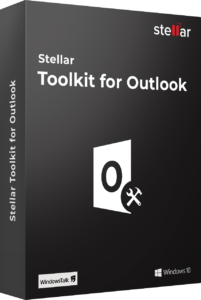 All software included in Stellar Toolkit for Exchange supports multiple Outlook and Exchange versions. Here’s a summary: Supports MS Exchange 2016, 2013, 2010, 2007, 2003, 2000, and 5.5. and is compatible with MS Outlook 2016, 2013 (32-bit and 64-bit), 2010, 2007, 2003, 2002, 2000.